Paleontologist Stephen Jay Gould claimed in 2000 that creationism was largely a “local, indigenous, American bizarrity.” But recently, young-Earth creationist movements have gained power across Europe. A group of European scientists reviewed this progression last year in a book titled Creationism in Europe. The book’s chapter on Germany came from Ulrich Kutschera, a professor of plant physiology and evolutionary biology at the University of Kassel, Germany. Kutschera, also a visiting scientist at the Carnegie Institution at Stanford University, describes how a German group called the Studiengemeinschaft Wort und Wissen (W+W), or Word and Knowledge Society, is spreading its creationist message. The Word and Knowledge Society teaches that the biblical God created a small number of “basic types of life” about 10,000 years ago, and these types evolved rapidly into all modern species. The society produces elegantly designed books, journals and websites, says Kutschera. It has translated its flagship publication, Evolution: A Critical Textbook, into Italian, Portuguese, and other languages, and pupils now study the text in more than 100 Christian German Bekenntnisschulen (commitment schools). Kutschera fears that number is rising. Most Germans still accept evolution. But the Word and Knowledge Society’s glossy materials and academic-sounding language persuade more and more people, including teachers and policymakers, says Kutschera. 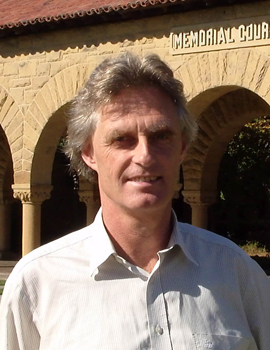 He spoke about his concerns at the February 2015 meeting of the American Association for the Advancement of Science in San Jose with several of his Creationism in Europe co-authors. Afterward, he sat down with SciCom's Nala Rogers. What can you tell me about the Word and Knowledge Society? The society is part of the Evangelical movement in Germany. It was founded in 1979 by theologians and other academics, but not by professional biologists. [One of its most public figures,] Siegfried Scherer, is convinced that evolution is wrong and creation is true, and that God created all living beings 10,000 years ago. Scherer has a powerful government-sponsored position at an important college, the Technical University of Munich. He was awarded several prizes for academic teaching, and he distributed his version of Intelligent Design and young-Earth creationism under the label of his university. In my view, this is unacceptable. What’s wrong with creationists like Scherer being biology professors? "The topic of evolution in Germany is in the hands of a small but powerful religious sect. But they are full of creationist nonsense." I have a precise definition. Creationism is an attempt to interpret all forms of life that exist today based on the biblical account of creation. Just a few weeks ago, Reinhard Junker [one of the authors of Evolution: A Critical Textbook] explained to me that for him, the Bible, as the Word of God, is true and must be read like a biology textbook. In Creationism in Europe, you and the other contributors say that Europe used to be relatively free of creationism. How does what you’re now seeing in Germany differ from what people used to believe before Darwin published his Origin of Species in 1859? In contrast to 19th-century creationism, W+W does not distribute a primitive Bible-based sermon. The Word and Knowledge Society tries to convince the general public, notably schoolchildren, that macroevolution is not supported by evidence. They define themselves as a scientific organization, and W+W uses the language of science to promote a pseudoscientific worldview. They even go so far as to argue that the biblical creator produced “polyvalent stem forms,” another phrase for the basic types. To a teacher or student, this sounds like science. It’s almost impossible for a non-specialist to see that it’s nonsense. That makes me angry. You have a career as an international research scientist and biology professor, but you have published articles and books opposing creationism. You even have a YouTube channel. Why have you taken time to do these things? For me, it’s kind of a hobby. It is part of my agenda devoted to public understanding of science. But I must admit that when I study the arguments of the Word and Knowledge Society, sometimes I get inspirations to teach and write about evolution even more precisely, because some of the arguments [behind creationism] are not silly. Their anti-evolution strategies are sometimes rather sophisticated. It sharpens your intellect, and you can better argue in favor of evolution, not as a theory, but as a fact of nature. Other scientists say evolution is a scientific theory, but the word “theory” is used differently by scientists and the public. Among biologists, a “theory” is a set of testable hypotheses supported by a large body of evidence. This is absolutely correct. But the average person will say, “OK, evolution is a scientific theory. Word and Knowledge argues that the basic types of life concept is also a viable scientific theory.” A layperson who has no scientific background is confused. Who is right? The pro-evo-atheists or the biblical theists? This is why I argue the other way around. I would never tell a creationist that evolution is a theory; many will say Intelligent Design is also a theory. Evolution is a fact. Only those individuals within variable populations that leave offspring will be represented in the next generation. Hence, there is an endless line of descent with modification, back to the first organisms on Earth, that has continuously changed over the past 4,600 million years of geological history. You describe your anti-creationist work as a hobby. Why does it really matter? Let me tell you why creationism in Germany is a problem. A pupil, maybe 14 years old, is told by his teacher to please write something down on macroevolution, or rudimentary organs, or other topics in evolutionary biology. Then the average German pupil uses Google, and with his first click he discovers arguments against macroevolution. And he finds the wonderful webpages of Word and Knowledge, because W+W employs four full-time “preachers” who infiltrate the Internet with their biblical pseudo-biology. Even students in my evolutionary biology classes at the German University sometimes refer to material they found on the Internet based on the Word and Knowledge propaganda. You can essentially say that the topic of evolution in Germany is in the hands of a small but powerful religious sect. They have the money and the manpower. W+W publishes several periodicals that look like true scientific journals. But they are full of creationist nonsense, such as the belief in a young Earth. Shouldn’t students have access to all the arguments so they can make their own decisions? There’s no question that the Word and Knowledge Society has the right to promote its propaganda. This is freedom of speech, freedom of expression. The problem is that in Germany, there are very few evolutionary biologists, and most of those are only narrow specialists. They ignore the Word and Knowledge Society or cowardly argue that this is not their business. I understand that you object to creationism in science classes. What about people who believe in biblical creation, but who aren’t trying to change how children learn biology? The Catholic and the Evangelical churches, the two big denominations in Germany, argue that “we accept all the facts that biologists have published in their journals, but we believe that our biblical God is acting in the background.” This is the concept of theistic evolution. “We accept evolution, but God is responsible for the outcome.” However, when you discuss theistic evolution with mainstream theologians, you rapidly find out that their Theos is very weak. It’s a diluted God. Creationist Evangelicals like Reinhard Junker says, “My God is the designer. He created us, and I see design in nature wherever I look.” That's a clear statement, incompatible with the fact of macroevolution. No, absolutely not. In my view, the concept of theistic evolution is even more schizophrenic than the honest interpretation of the Bible as it is carried out by the Word and Knowledge Society. The W+W ideologues simply say “the Bible is right and macroevolution is wrong.” Theistic evolution, as promoted by the Pope and the associated Catholic Church, is in my view a mixture of science and irrational belief. Why did the background God permit 99 percent of all animals and plants, that he allegedly created, to become extinct? Where are the created dinosaurs today, and why are humans the most destructive animals on Earth? In my view, naturalistic evolution is the only reasonable worldview, and mankind can only survive when more scientists step out of their laboratories and convince the general public and the politicians. We can only reverse climate change and feed the world, via transgenic crops for instance, when science prevails. Religious belief should remain in the churches and out of scientific thinking. How does the United States compare with Germany in terms of creationist movements? In Germany we have ethics or religion classes. Here in the U.S., it’s not allowed to teach religion in public schools, due to your Constitution. When you do not allow the teaching of religion in schools, then this irrational belief remains an uncontrolled private business. Creationists in the U.S. try to introduce their religious dogma into biology classes because they are not allowed to teach religion in ethics classes. It would be better for the U.S. to allow the teaching of Christian religion in public schools, as is the case in Germany and other European countries. What would you say to someone who argues that we should accept the Word and Knowledge Society's ideas of “basic types of life” and rapid microevolution as a kind of compromise to unite science and religion? The point is that this is not science. It’s biblical dogma. There is no empirical, fact-based evidence for the creation of basic types of life. And there’s likewise no evidence whatsoever for microevolution at this high speed. The spread of this anti-scientific “theo-biology” throughout Europe must be prevented, because science and religious dogma should not be mixed up. This is my final conclusion. © 2015 Nala Rogers. Trace the evolving career of SciCom graduate student Nala Rogers at nalarogers.com.